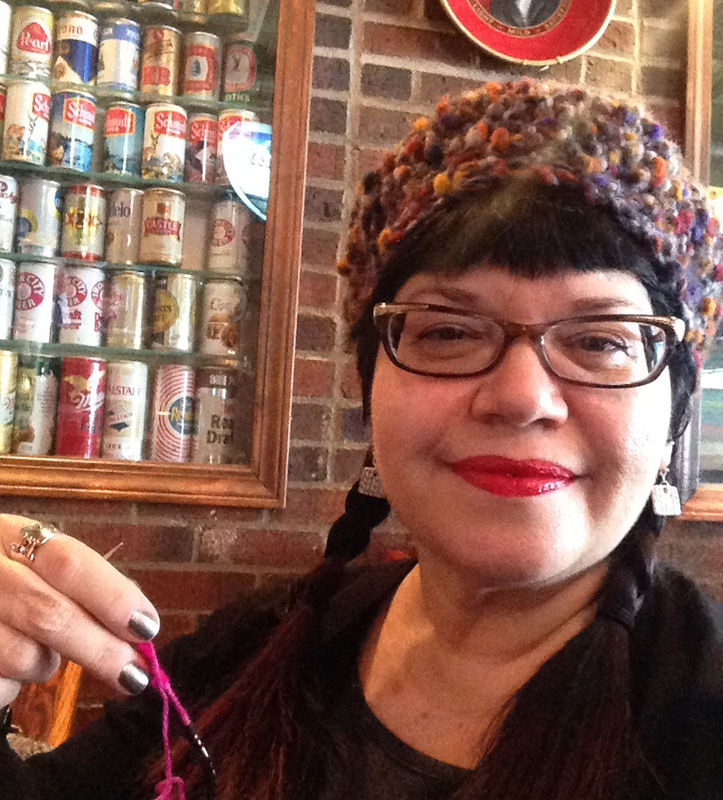 Terri learned to crochet at the tender age of 5, and then again at 12 when it finally stuck. She learned to knit as a teenager, and again about 12 years ago when that finally stuck. 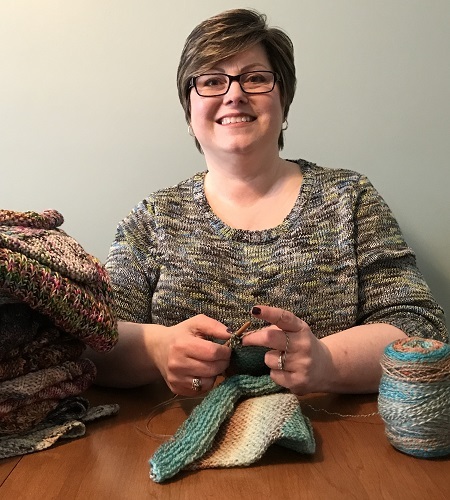 Over the years, she’s shared her love of fiber crafting as she taught many friends and family to knit and crochet. She’s a mom to four kids – three boys and a girl. 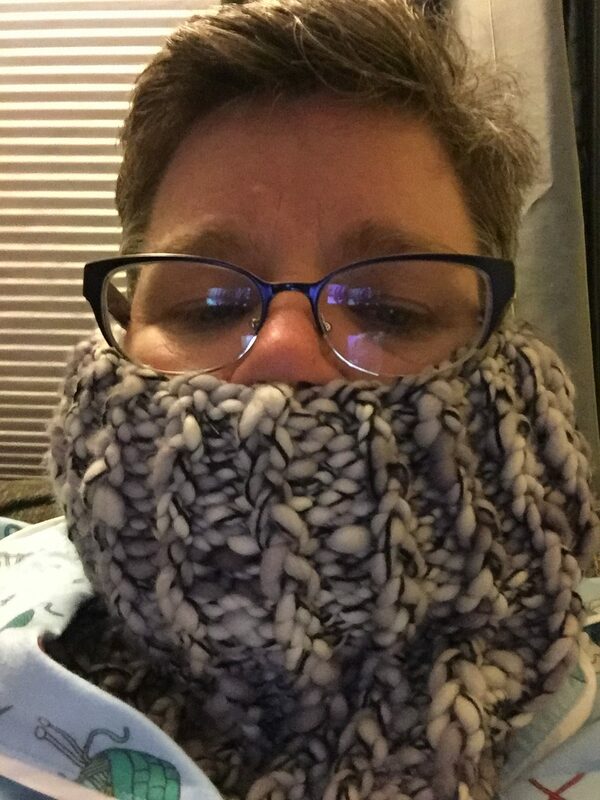 Her oldest son and daughter both know how to crochet. The younger boys have figured out that all they have to do is ask, and she’ll make them whatever they want! 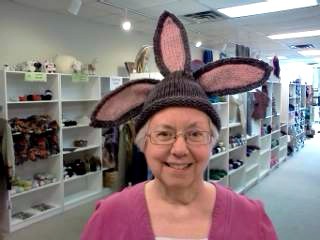 She’s also the Grandma/Amma to four amazing grandkids, all very knit-worthy. 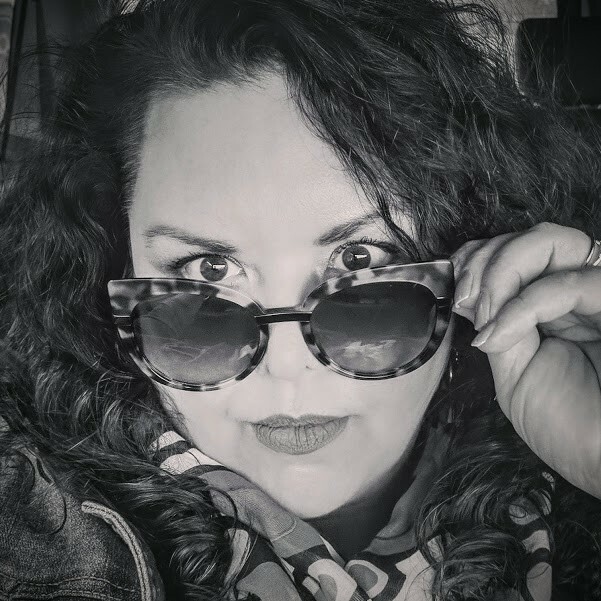 Terri’s work-from-home job and super supportive husband leave her lots of time to perfect her talents and pursue new techniques, and you’ll rarely find her in (or out of) her home without some type of yarn project in her hands! She especially loves breaking down projects to figure out the easiest way to teach them to others for great results! How did you first learn to crochet? My grandmother taught me when I was five, but shortly afterwards she passed away and I put everything away for awhile. When I was in sixth grade, some friends and I took several crocheting classes at our local recreation center and I finally got it! That year we made lots of Granny Squares (afghans, stockings, pillows) and lots of Afghan Stitch (just the basic stitch, I don’t think we knew how many variations on it there were!). One of the girls I learned with is still one of my best friends to this day. Coincidence? I think not! My Aunt Sandy very patiently tried to teach me to knit when I was a teenager. She thought I’d be a natural because I knew how to crochet already. I strangled the yarn so badly that I just couldn’t get the hang of it. It was horrible and I hated it! And then, in 2005, I needed to make a fun fur scarf for my daughter for Christmas. I soon realized that I couldn’t crochet it because I couldn’t see the holes. Someone suggested that I knit it instead. I thought I’d learn to knit just long enough to teach my daughter to make her own scarf, because in my mind, I already knew that I couldn’t do it. Boy, was I wrong; I took to it right away this time and haven’t stopped knitting since! A fun fur scarf for my daughter (see above) and about 10 more that year for Christmas! I fell down the knitting rabbit hole hard! What’s the first thing you ever crocheted? Miles and miles of single crochet, in the same yarn, to use for hair ribbons, necklaces, bracelets, belts. Remember, I was only five… And, my dad said I had to use up the entire skein of yarn before he’d buy me anymore. What’s your best knitting / crocheting memory? Christmas 2017. Every one of my kids, my grandkids, son-in-law and my husband had a pair of handknit socks under the tree from me. That’s 10 pair, if you’re counting. They were all so excited! So many things! I like to have a variety of needle sizes so I can switch projects if my arthritis acts up. I’m currently working on a pair of fingerless mitts, two pair of socks, three shawls (two crochet and one knit), and a sweater that’s in knitting time-out. What’s your favorite place to knit / crochet? Anywhere and everywhere. I’ve knit at football games when my kids were in band and on the football team, and I always have projects stashed in the car to work on (not when I’m driving). But, my absolute favorite is the movie theater… red recliners, no phone, no email, no dishes or laundry calling; it’s heaven! Plus, I love how random people will strike up a conversation with you about your projects when you’re out in public. Usually they want to know what I’m knitting (when I’m crocheting) or what I’m crocheting (when I’m knitting), but it’s all good! Socks and shawls! I also love making hats, but I’m not a hat person so I end up gifting those. Speckles. It doesn’t matter what weight the yarn is, my projects seem to go so quickly with them because I can’t wait to see the next pop of color come through! Don’t give up! If you’re having problems, talk to someone else that knits or crochets to see how they do it. Work on something every day, even if it’s just a row or 15 minutes. Every little bit adds up and soon you’ll see progress that will get you excited for your next projects! Also, I really believe you should start with a project that you love and not necessarily something ‘simple.’ Once you know the basics, stretch your knowledge to keep your interest so that you finish your project. Nothing is more de-motivating that an unfinished project that you don’t like. I enjoy breaking down the entire process so that I can present projects and techniques to students in a practical, common-sense method. I love seeing the light go on when someone ‘gets it’ and cheering on their creative successes.